Discover the latest digital trends for schools including best practices for website redesign, personalisation, responsive content, and inbound marketing. Rethink how your website serves the needs of your community, and explore ways to make your website stand out in 2019. Session 1: Current Web Trends for Schools. Using examples from schools like yours as well as current research, we’ll highlight web trends such as the growth of Search Engine Marketing, Page Personalisation by user demographics, Inbound Marketing strategies and much more! Marketing to millennial parents is different from marketing to any other generation, and it is essential that you adapt your marketing strategies to effectively reach them where they are. Discover some important truths to consider as you build your marketing plan. We work so hard on filling seats with prospective families as well as retaining current families. But, what happens after they leave us? Explore ways to create a culture of enthusiastic Alumni and how to keep them engaged building them into advocates. This interactive discussion will help you tie your online content and overall design to your school’s unique marketing/brand. We’ll ask for volunteers for our group brainstorming as well. Miles Latham from Affixxius Films talks about the importance and usefulness of implementing campaigns in independent schools. As a school, what are you saying about your school now, and how can you create that 'hook' and how do you make it last? These free workshops include refreshments, lunch, and plenty of time for networking with other attendees and Finalsite. Attendees should plan to arrive at 09.30, the workshop will begin promptly at 10.00 am. Please email luisa.dobson@finalsite.com with any questions. 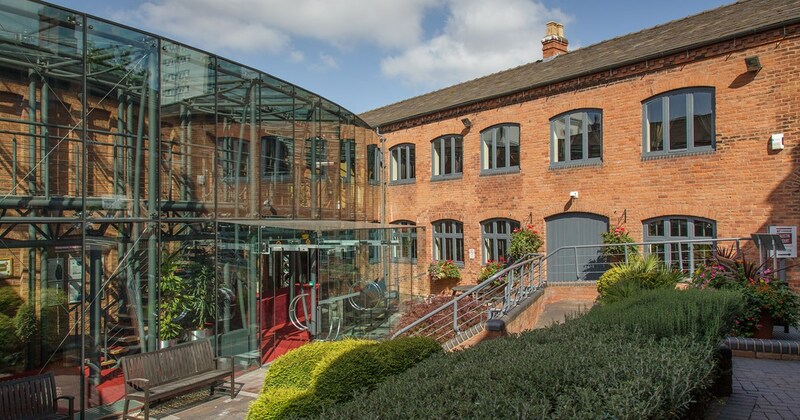 This bespoke meeting space is located in the heart of Birmingham city, just a hop, skip and jump away from all major transport links, including being less than 10 minutes walk from New Street Station. It has a hidden gem of a roof garden and is a perfect setting for like minded professionals to meet and get the job done. Web Strategy Workshops make it easy for school marketing, admission, and advancement professionals to learn effective strategies that can implement immediately.